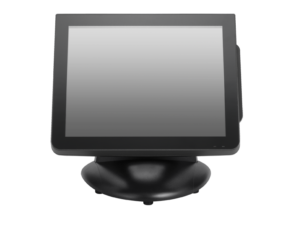 The PM-15BZ PCT touch monitor brings you the future of touch technology today. 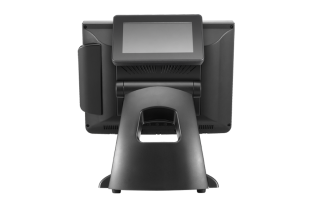 This monitor is loaded with added features, and it’s flexible enough to meet the needs of a variety of different types of businesses. 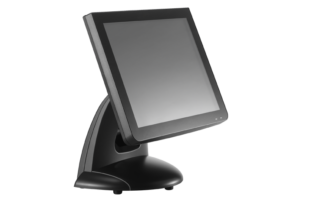 The PM-15BZ PCT is a practical and valuable addition to your total point of sale (POS) solution. 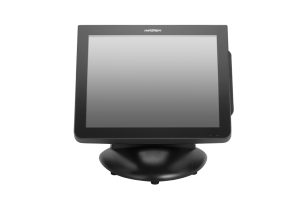 Projected capacitive touch (PCT) technology makes the PM-15BZ PCT easy to use. PCT doesn’t require pressure to use the touchscreen, just an electrical charge, so nearly anything can work efficiently, like a stylus or finger — or even a fingernail. 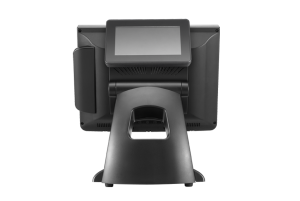 Your customers will appreciate how easily, quickly, and accurately your sales associates can work on the PM-15BZ PCT. 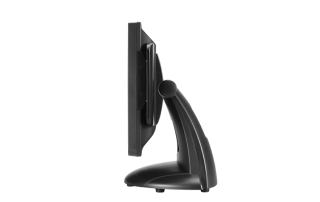 The On Screen Display (OSD) simplifies adjusting monitor settings and contributes even more to the PM-15BZ PCT’s ease of use. 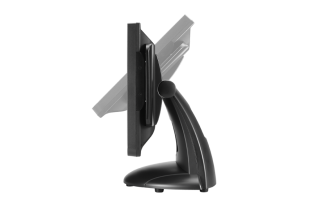 Partner Tech’s PM-15BZ PCT gives you the ability to adjust the monitor at any angle, giving the user the optimal view of the TFT display with an impressive 1024 x 768 resolution. 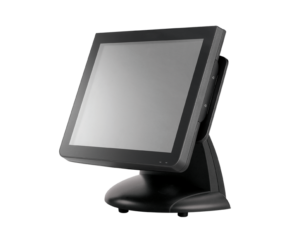 You can also remove the stand and use a wall mount or VESA mount for flexible integration into your checkout solution. 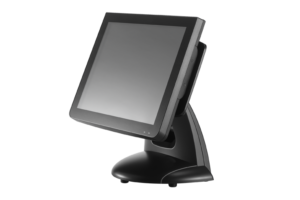 With its bezel-free, slim dimensions and elegant design, the PM-15BZ PCT is the perfect 15” POS monitor for nearly any application. 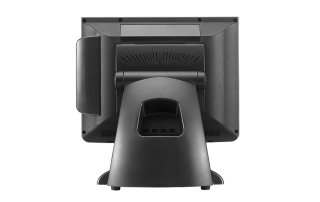 You can choose from a variety of optional features to the PM-15BZ PCT to provide your business with the functionality it needs. 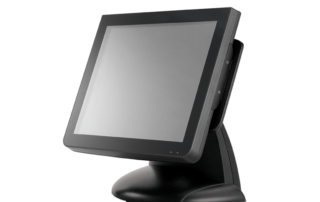 Options include an integrated multi-reader with a three-track magnetic strip reader (MSR), chip card reader, RFID reader, fingerprint sensor and iButton (Dallas key). .
You can choose from an integrated 2 x 20-character VFD or integrated 7” CD-70 LCD display. Optional integrated loudspeakers make the PM-BZ PCT a good choice for multimedia applications.